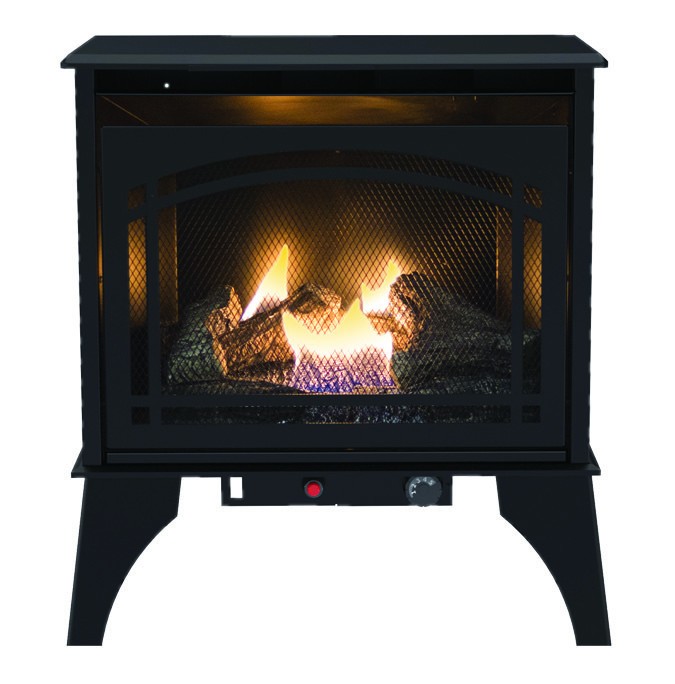 Comfort Glow Electric Log Heater with Flame Projection brings the glow back to your fireplace. 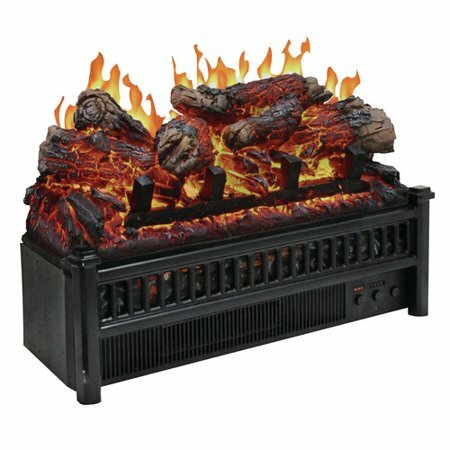 This set projects a dancing flame look onto your firebox and produces 4600 BTU's of fan-forced heat as well. Included remote control provides optimum convenience. 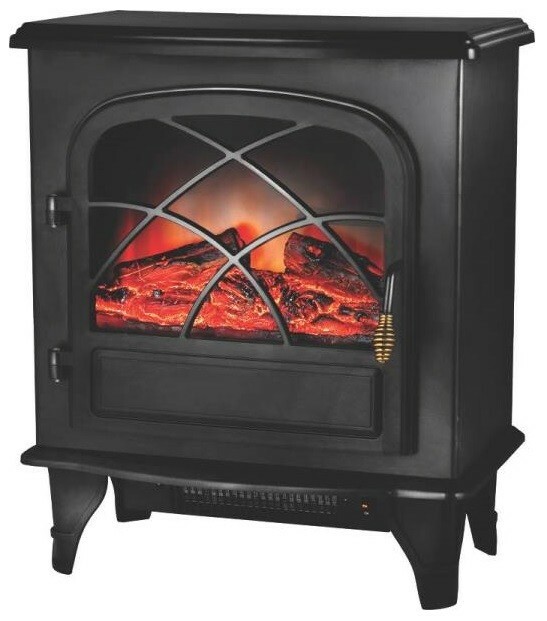 Real dancing yellow flame look Heater with circulating blower Energy efficient LED technology Flame operates with or without heat Fully assembled 1500 Watts 4600 BTU Output Dimensions: 23"W x 13"H x 9"D. This item cannot be shipped to APO/FPO addresses. Please accept our apologies. We do NOT provide any installation services nor removal of old appliances. Delivery for large items is curbside only. 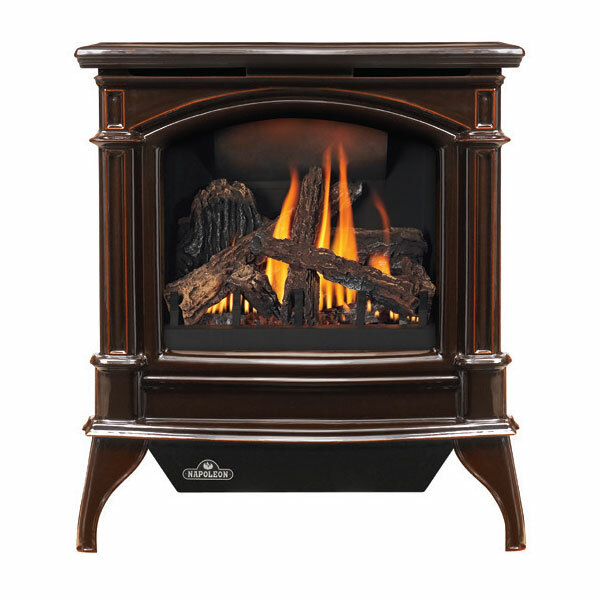 COMFORT GLOW PANAORAMIC ELECTRIC STOVE Sanibel model electric stove has flame that - can be seen from all three sides Glowing ember bed for real wood burning effect Realistic log set & dancing faux flame Thermostat heat control w/safety thermal shutoff Heats area up to 700 sq. ft. 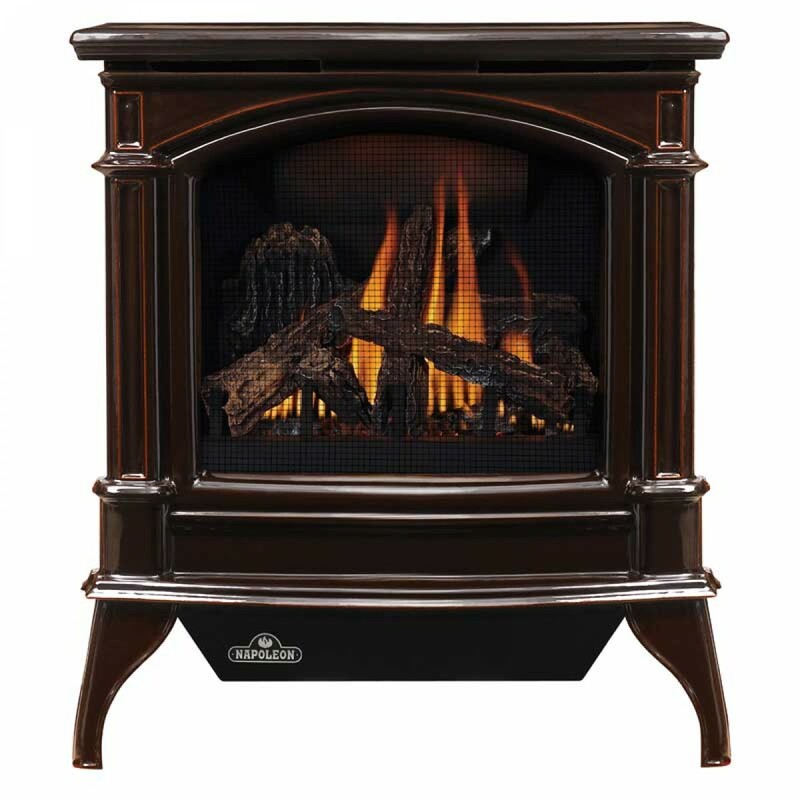 Provides instant warmth & charm - 4,600 BTU Flame optional - operates with/without heat EQS5140 SANDIBEL ELECT STOVE SIZE:11"Lx20"Wx23"H FINISH:Black We do NOT provide any installation services nor removal of old appliances. Delivery for large items is curbside only. 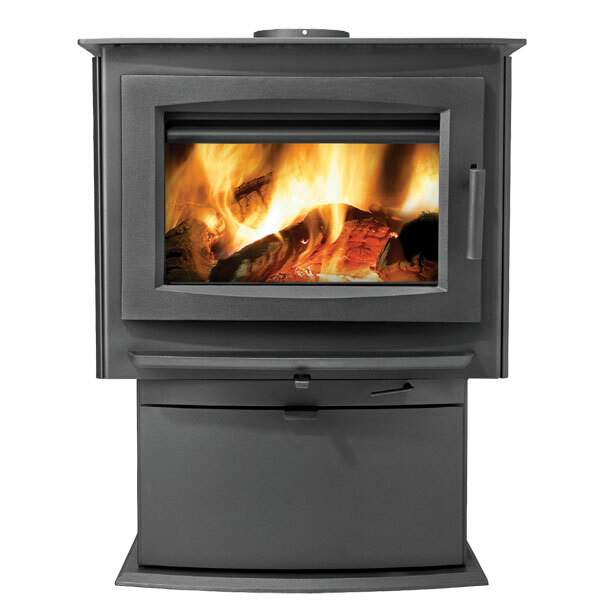 The GVFS60 vent-free gas stove is known for its solid performance and impressive heating efficiencies. Now, with its new elegant fine detailing and sleek, more sophisticated outer casting design, the GVFS60 offers more than just great performance. Availab We do NOT provide any installation services nor removal of old appliances. Delivery for large items is curbside only. Click here to get the instruction for this item: We do NOT provide any installation services nor removal of old appliances. Delivery for large items is curbside only. 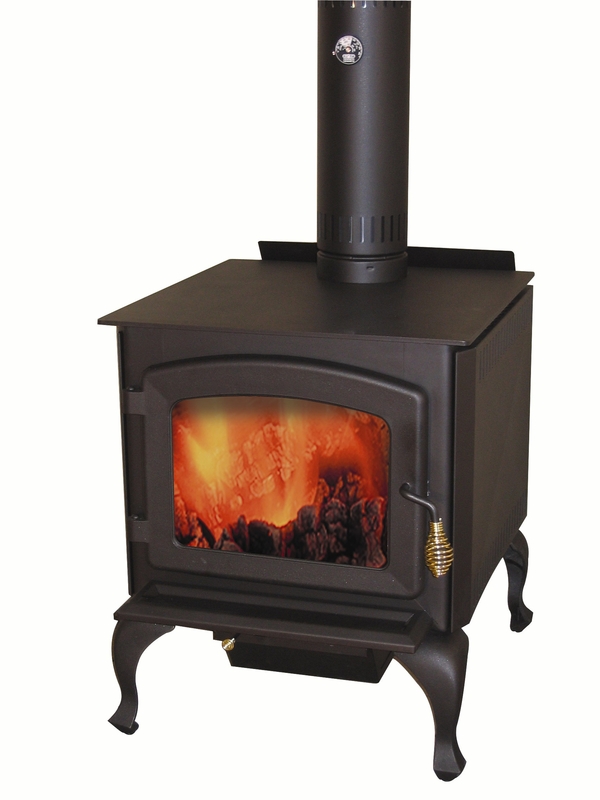 The Rocket is a high efficiency wood stove among the smallest on the market. This leg model is EPA certified. 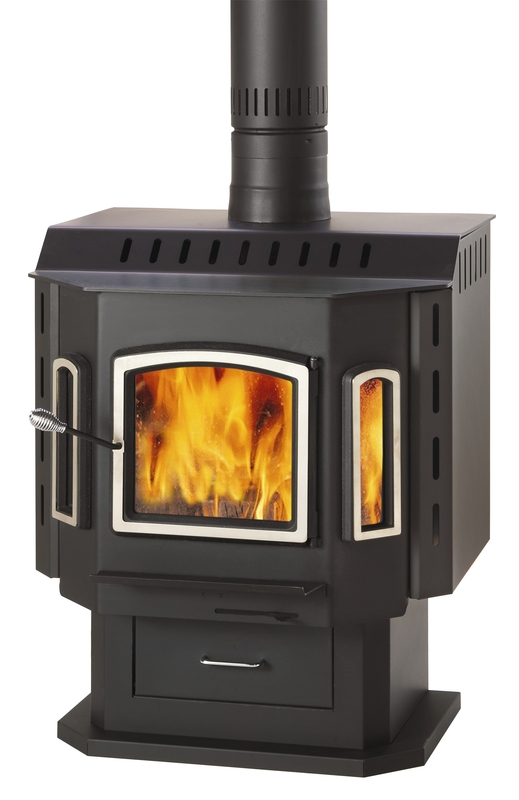 The Rocket is ideal for small areas that require a limited heating capacity without compromise on the appliance efficiency. Dimensions: 22.625"W x 20.75"L x 26"H We do NOT provide any installation services nor removal of old appliances. Delivery for large items is curbside only. 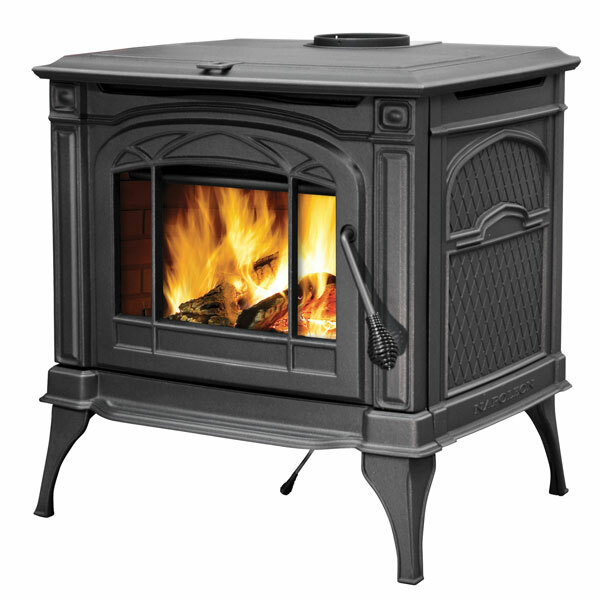 Comfort Glow Warrington Electric Stove. Adjustable flame intensity and adjustable thermostat. 5000BTU. 1500W/ 12.5A/ 120V AC. 6 ft. cord. 400 Sq. Ft. Coverage. This item cannot be shipped to APO/FPO addresses. Please accept our apologies. We do NOT provide any installation services nor removal of old appliances. Delivery for large items is curbside only. 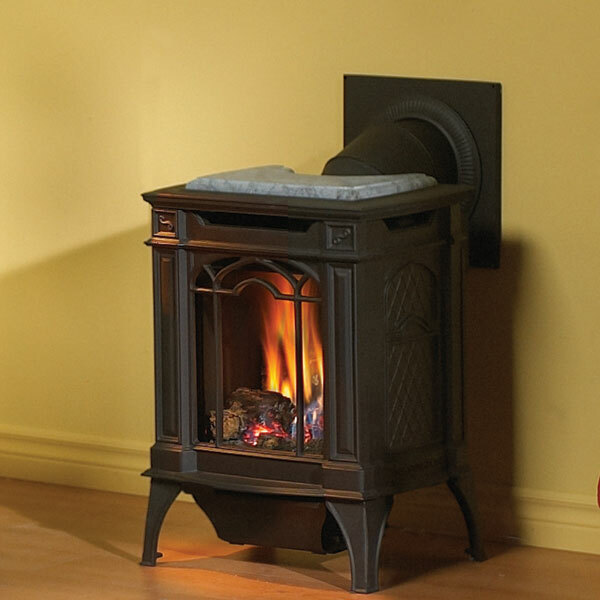 This cast-iron gas stove, with its slender, space saving design and 45+ venting, is perfect for smaller rooms. It is available in painted black or a porcelain enamel Majolica brown finishes and comes standard with a MIRRO-FLAME+ Porcelain Reflective Radia We do NOT provide any installation services nor removal of old appliances. Delivery for large items is curbside only. 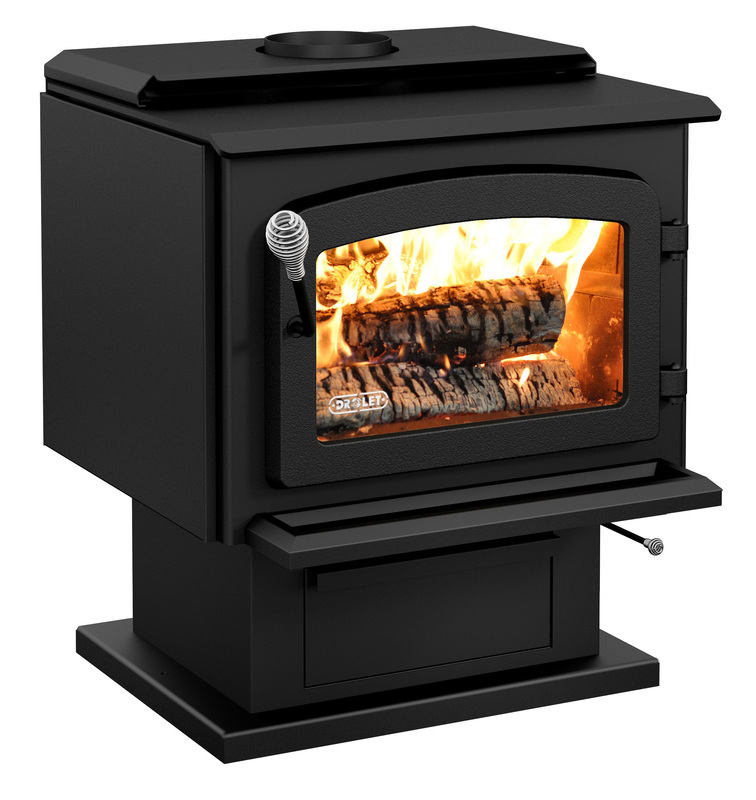 The Timberwolf Economizer+ EPA wood stoves provide an economical solution to rising costs of home heating. 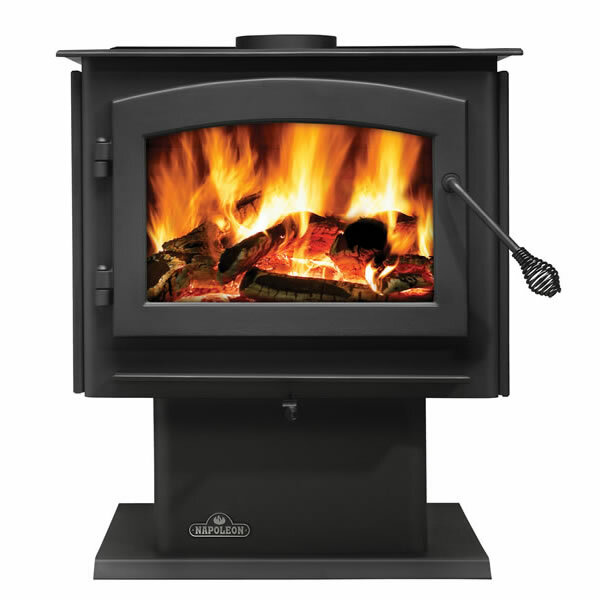 These clean burning, cost effective stoves deliver the reliable heat your customers need. Outstanding efficiencies, a solid cast iron arched door a We do NOT provide any installation services nor removal of old appliances. Delivery for large items is curbside only. Burn control is provided by a single lever that adjusts both primary and secondary air mixture. The unit meets EPA standards for low emissions. 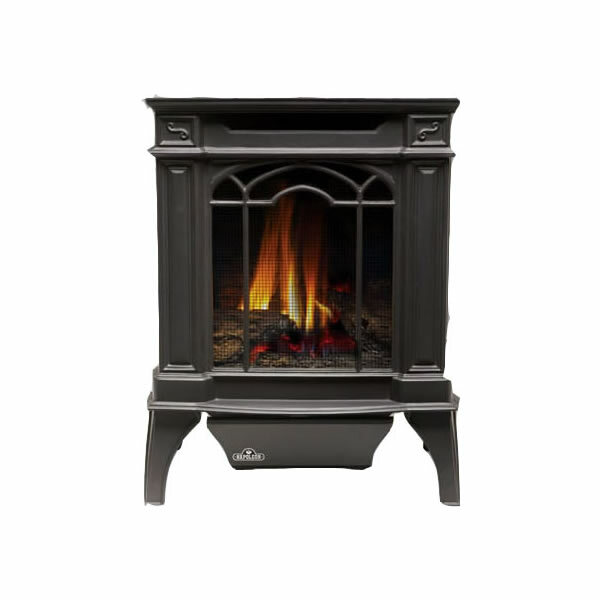 The elegantly arched door with hidden hinges and detailed side panels give the stove its early American look We do NOT provide any installation services nor removal of old appliances. Delivery for large items is curbside only. A single lever regulates both primary and secondary air flow for a clean burn. 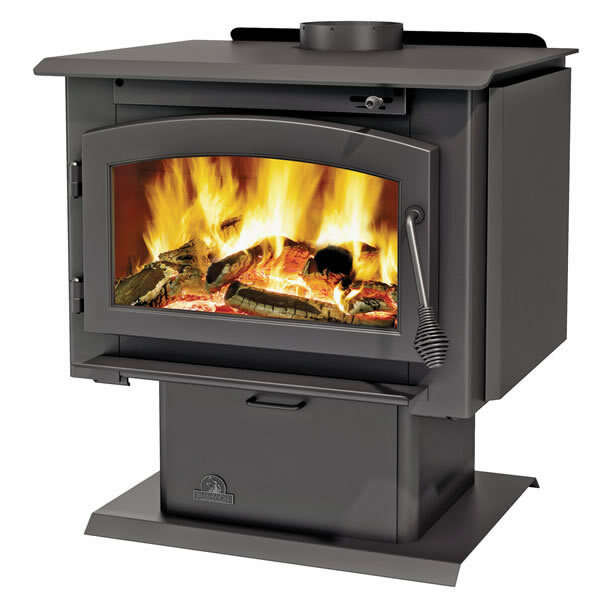 The stove is refractory-lined to keep internal temperatures high and emissions low. The unit meets EPA requirements for emissions. The arched door provides a large viewin We do NOT provide any installation services nor removal of old appliances. Delivery for large items is curbside only. DOOR NOT INCLUDED. FOR LEG MODEL, LEGS NOT INCLUDED. 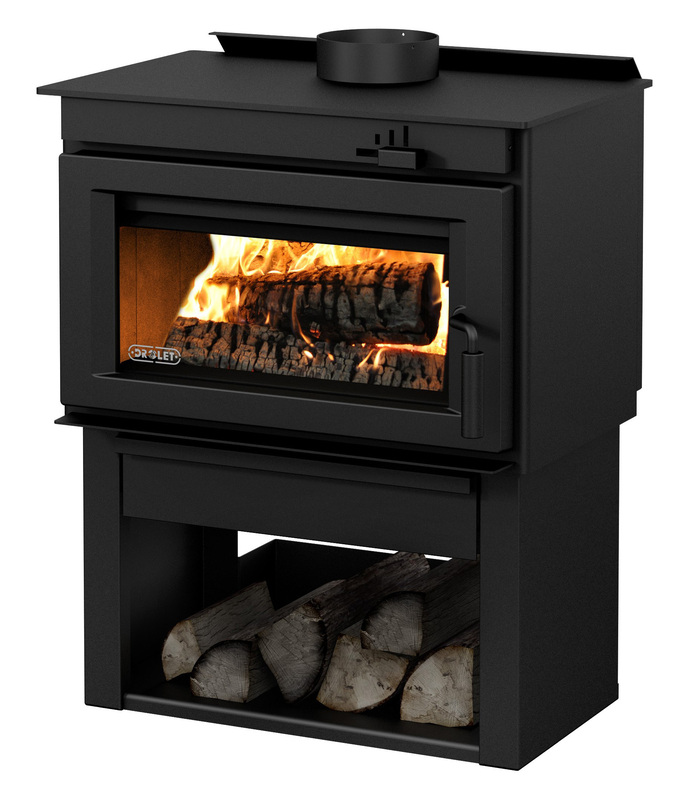 The Deco is a high efficiency wood stove adding a new Style into the Medium size category. With its pure lines, modern European look and integrated convenient space to store wood, this new model will add personality to your home. 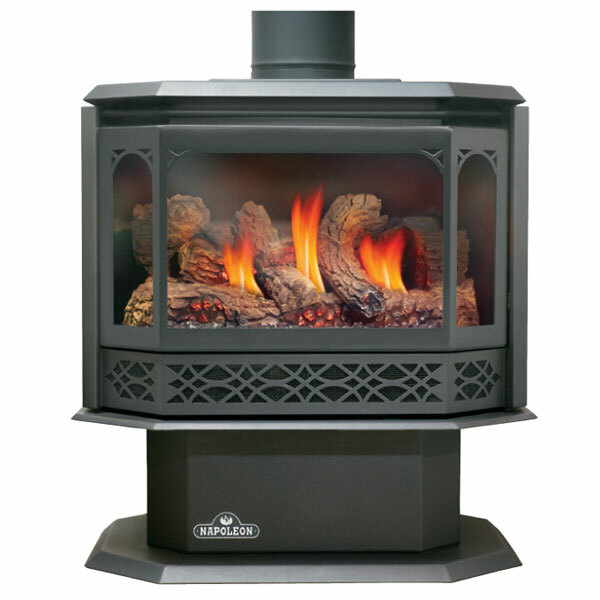 This freestanding modern pedestal model is EPA certi-ed and its -rebox allows it to -t logs up to 22 inches long. Dimensions: 26.625"W x 17.125"L x 33.5"H We do NOT provide any installation services nor removal of old appliances. Delivery for large items is curbside only. 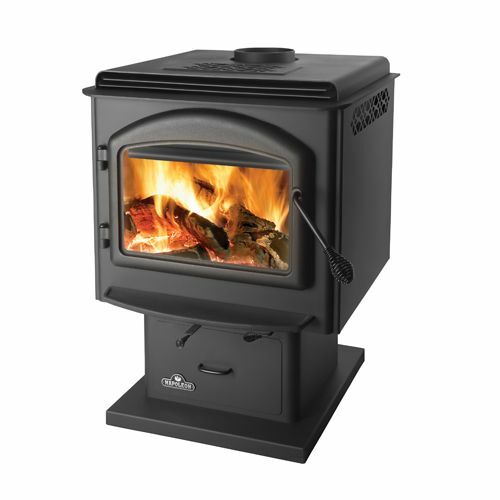 The Classic is a high efficiency wood stove typical of appliances the Medium size category. The door of this pedestal model has brushed nickel trims that give it a unique touch of modern design. Its large glass area provides a wonderful view of the fire. An ultra-quiet crossflow blower with variable speed control is a standard feature on each Classic for a better heat distribution. Dimensions: 25.25"W x 28.625"L x 30.125"H We do NOT provide any installation services nor removal of old appliances. Delivery for large items is curbside only. 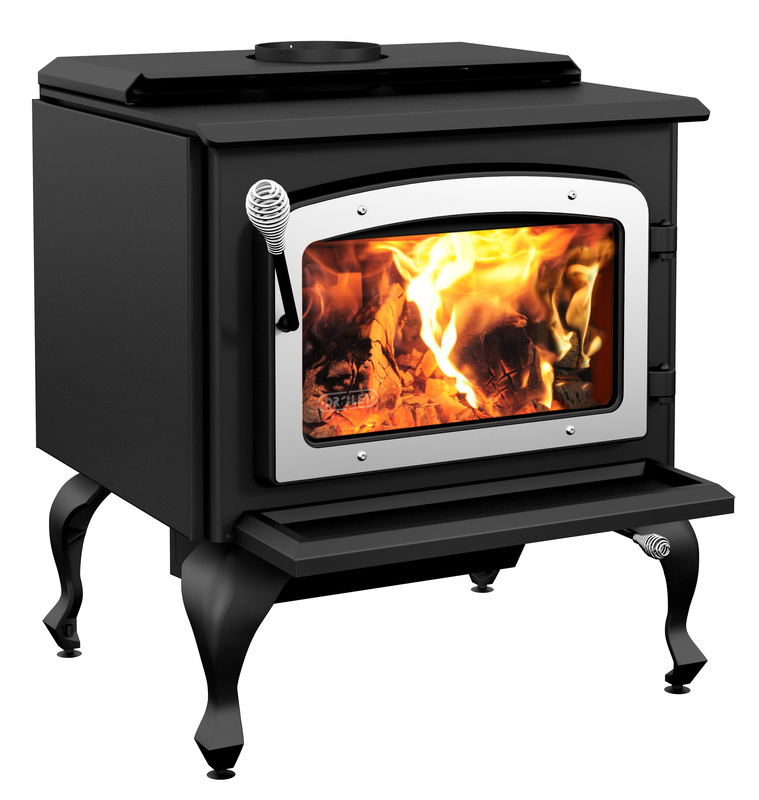 The Escape 1800 is a high efficiency, EPA certified wood stove. 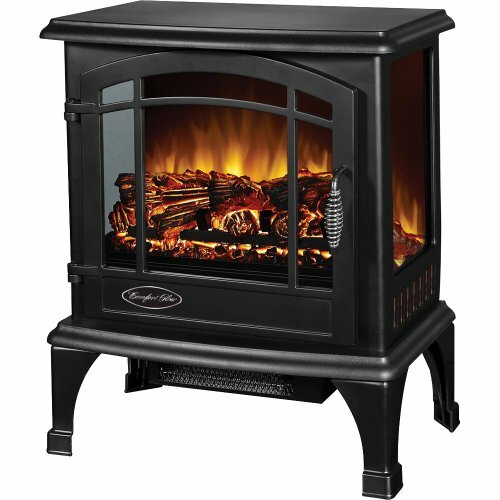 This pedestal model is an east-west loader that accepts logs up to 20.5 inches long. It comes with a top heat exchanger that allows the user to maximize the benefits of its optional blower. 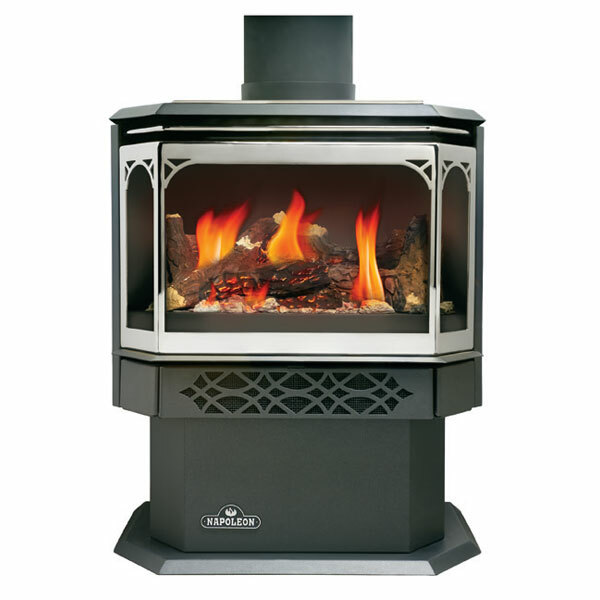 Its very low clearances to combustible materials make it a safe bet in the Medium wood stoves category. Dimensions: 25.62"W x 27.43"L x 25.62"H We do NOT provide any installation services nor removal of old appliances. Delivery for large items is curbside only. 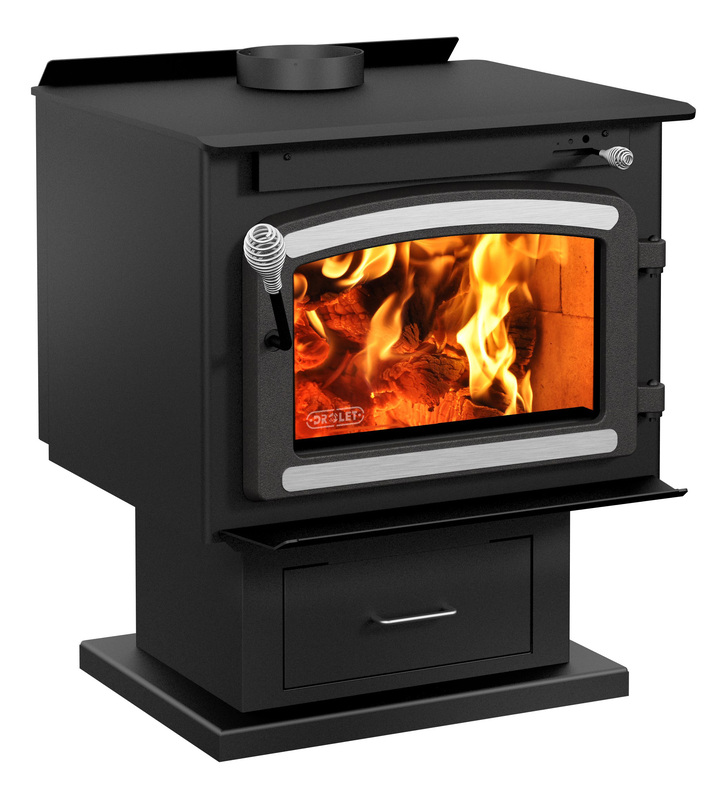 The Escape 1800 is a high efficiency, EPA certified wood stove. This model on legs east-west loader that accepts logs up to 20.5 inches long. It comes with a top heat exchanger that allows the user to maximize the benefits of its optional blower. 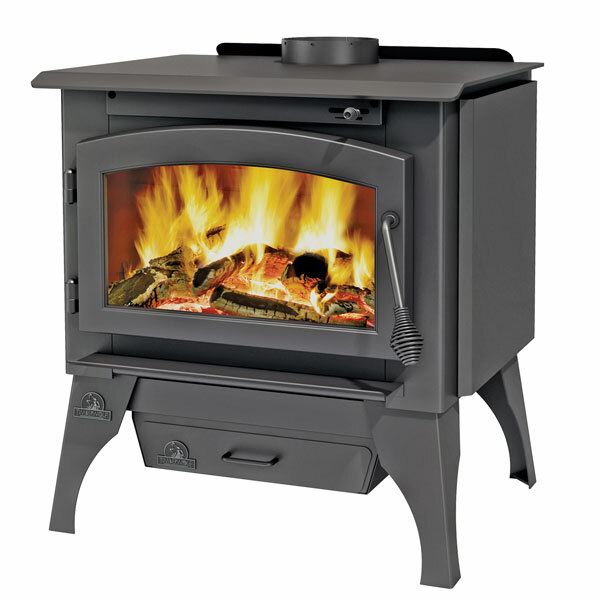 Its very low clearances to combustible materials make it a safe bet in the Medium wood stoves category. Sleek contemporary styling, duel fuel design permits connection to either Natural gas or LP gas. Automatic thermostat. 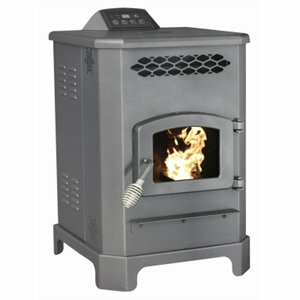 HEATS UP TO 800 SQUARE FEET � 20,000 BTUs This item cannot be shipped to APO/FPO addresses. Please accept our apologies We do NOT provide any installation services nor removal of old appliances. Delivery for large items is curbside only. The unit is tested to heating standard ANSI Z21.88 and CSA 2.33. Includes: Heat circulating blower and rheostat, triple flame burner, including high efficiency furnace type turbo burner, millivolt remote control natural gas valve, with built-in adjustabl We do NOT provide any installation services nor removal of old appliances. Delivery for large items is curbside only. pedestal base in a metallic charcoal finish. It features a slide out ash drawer with a removable ash pan and lid for easy clean We do NOT provide any installation services nor removal of old appliances. Delivery for large items is curbside only. 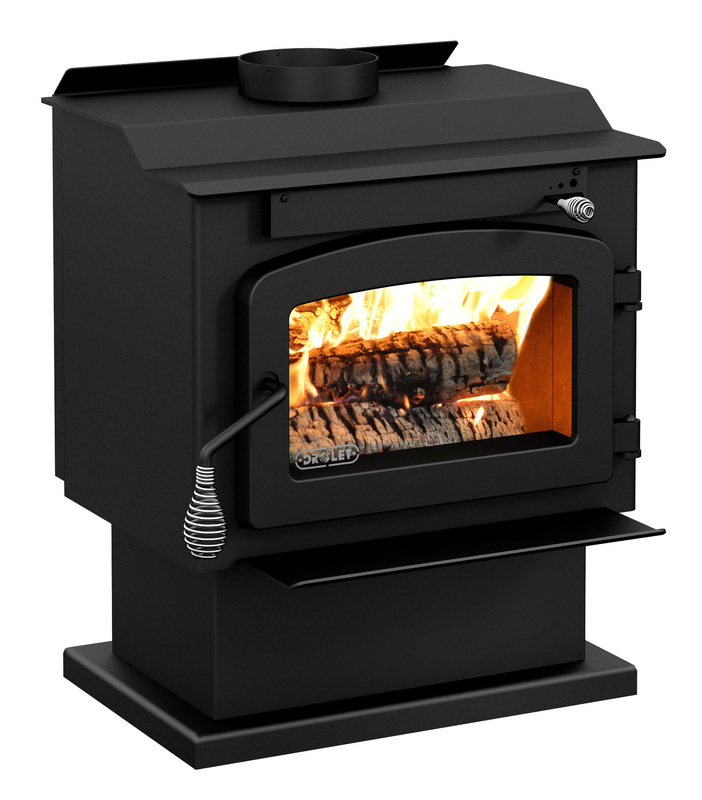 The unit is tested to heating standard ANSI Z21.86, Z21.88 and CSA 2.32 and CSA 2.33. Includes: Heat circulating blower and rheostat, triple flame burner, millivolt remote control natural gas valve with built in adjustable flame/heat control, exclusive PH We do NOT provide any installation services nor removal of old appliances. Delivery for large items is curbside only. Napoleon quality and performance without the bells and whistles that add dollars to the price tag. A single lever burn control regulates the primary and secondary air for a clean burn. An air wash keeps the cast-iron door+s glass clean for an enjoyable vi We do NOT provide any installation services nor removal of old appliances. Delivery for large items is curbside only. 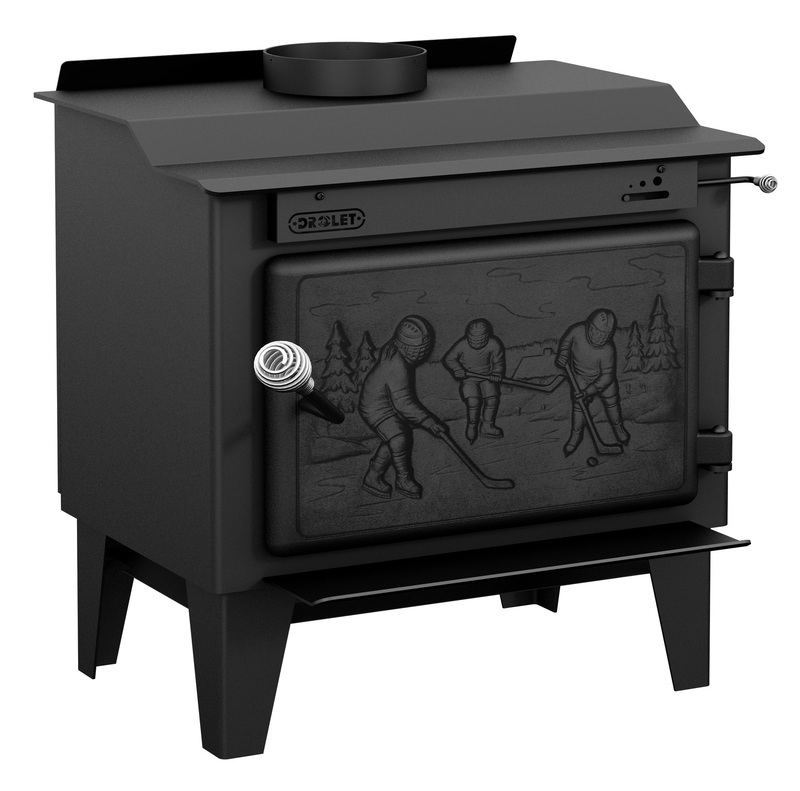 With its new elegant fine detailing and sleek outer casting design, the GDS60-1N offers a larger viewing area and fuel saving electronic ignition. 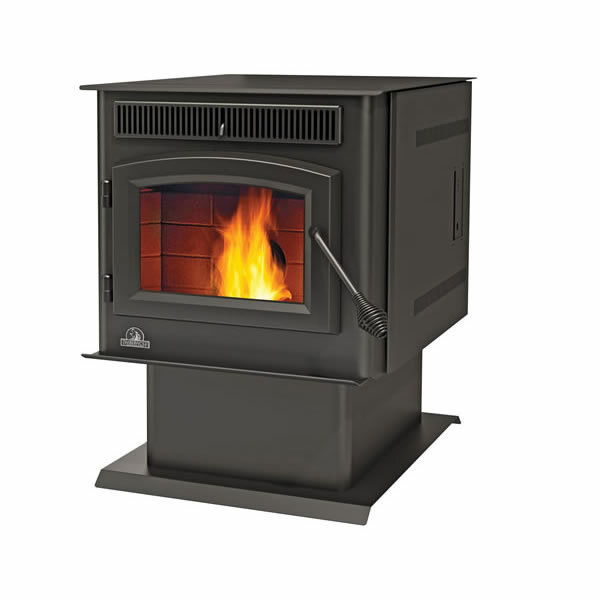 The unit is tested to the ANSI Z21.88 (Direct Vent) and ANSI Z21.50 (B-Vent) heater standard. Rated up to We do NOT provide any installation services nor removal of old appliances. Delivery for large items is curbside only. 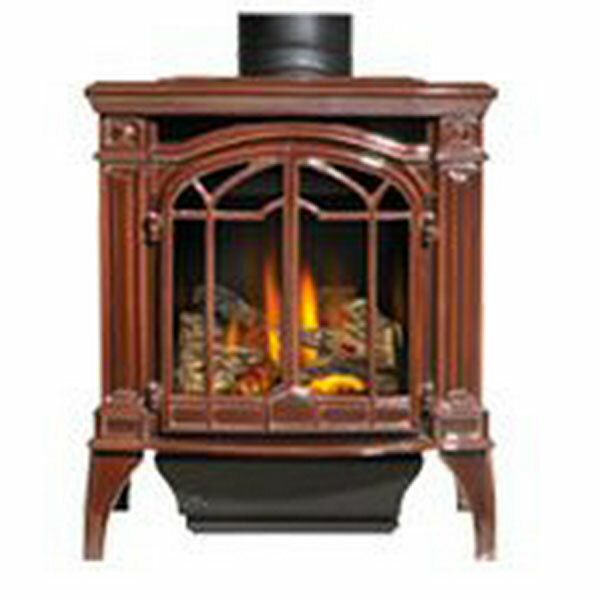 GDS25NNSB Napoleon Cast-Iron Gas Stove, Majolica Brown We do NOT provide any installation services nor removal of old appliances. Delivery for large items is curbside only. Good things come in small packages. 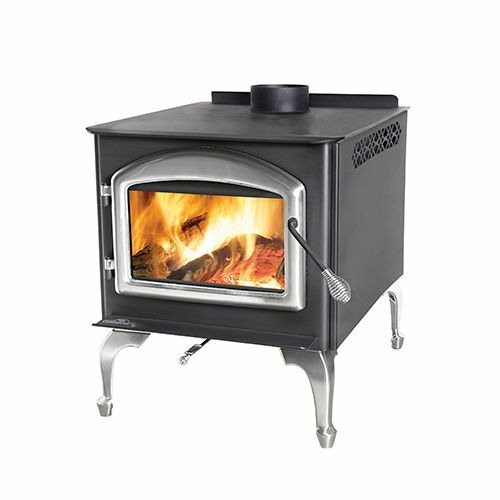 The Arlington+ v GVFS20 vent-free gas stove, although compact in size, makes a powerful statement in any room. 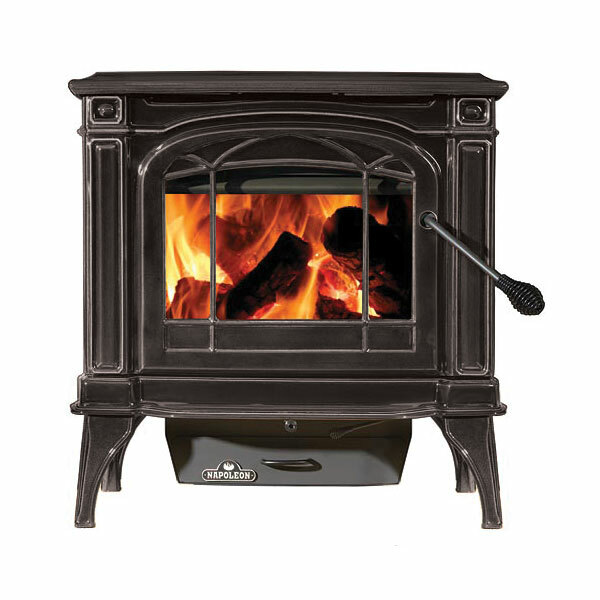 The solid Early American cast iron design with exquisite detail and style, reflects the outstanding quality We do NOT provide any installation services nor removal of old appliances. Delivery for large items is curbside only. 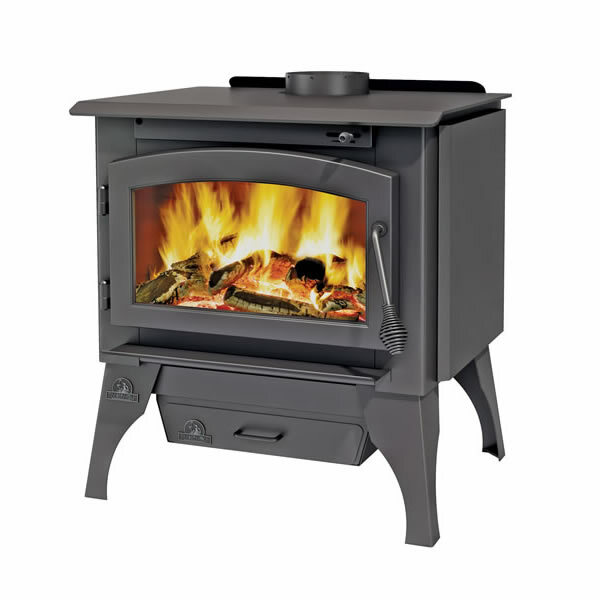 Designed for efficiency, performance and to provide an economical heating source, the TPS35 pellet stove delivers comfortable heat for up to 2000 sq. ft. With a maximum of 30 hours burn time, owners enjoy minimal maintenance and less refueling. We do NOT provide any installation services nor removal of old appliances. Delivery for large items is curbside only.